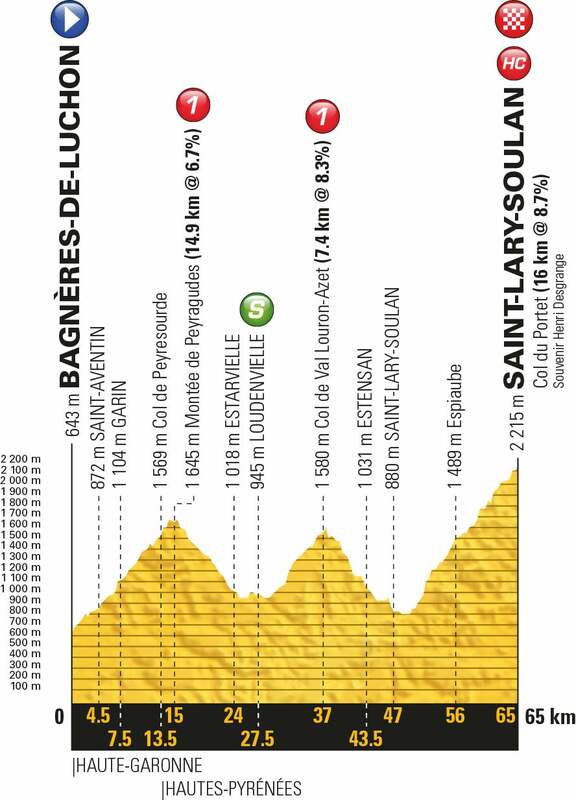 65 kilometers, three passes, in approximately two and a quarter hours — stage 17 will be a wild ride. It will start with an unorthodox format: The riders will be positioned according to their overall classification, with the top 20 lined up on a grid, as in a Formula 1 race. 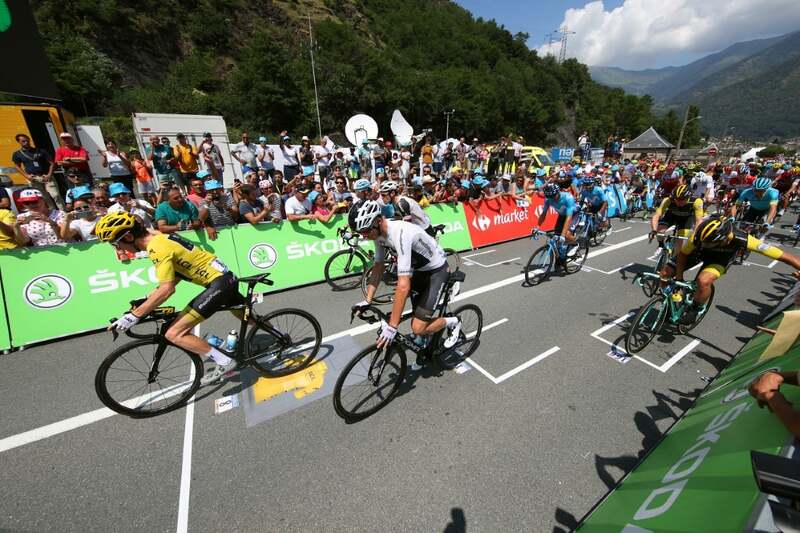 The day after the first big Pyrenean stage — one that extends to 218 kilometers with three big passes — stage 17 will be the shortest Tour road stage in more than 30 years. 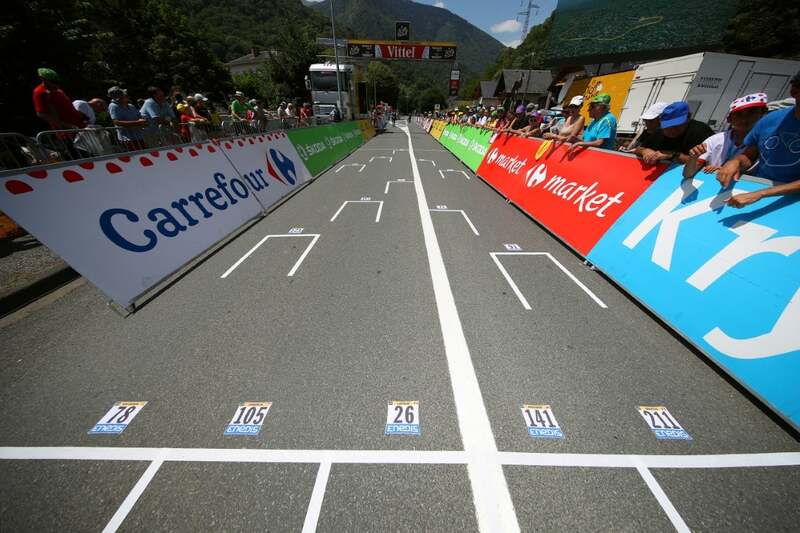 The shortest stage of the Tour could be the best of the race. Of the 65 kilometers on the day’s route, 43 will be spent climbing and 16 of them at an average gradient of more than eight percent. After climbing the Peyresourde to Peyragudes, and then to the Col de Val Louron-Azet, the route turns to the final climb of the Col du Portet, at 2,215 meters (higher than the Tourmalet) the highest point of the 2018 race. 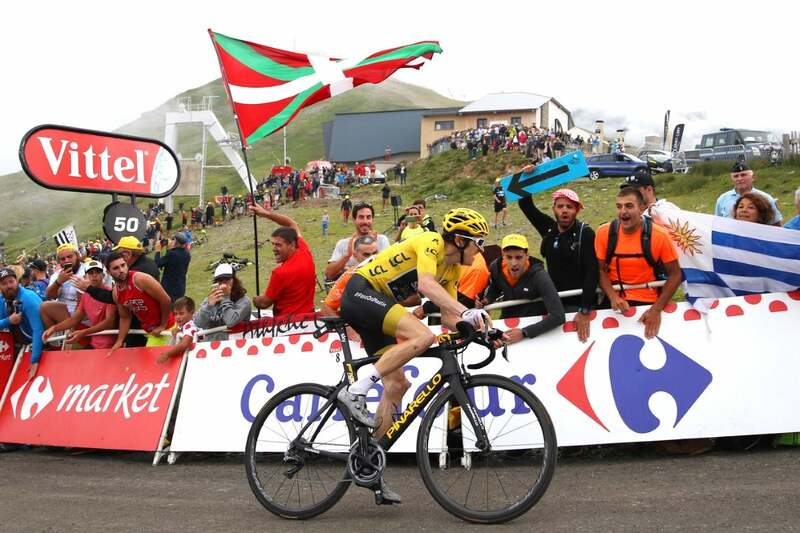 According to the particular criteria that ASO uses to determine the difficulty of the climbs, this new discovery is as difficult as Mont Ventoux. The condition of the road meant that major resurfacing work had to be undertaken in the spring. 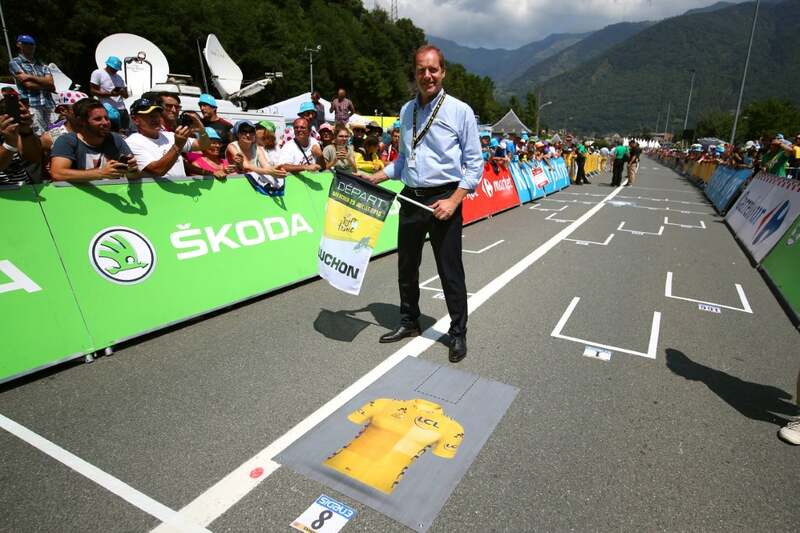 The Tour will be the first race to ever use the climb. 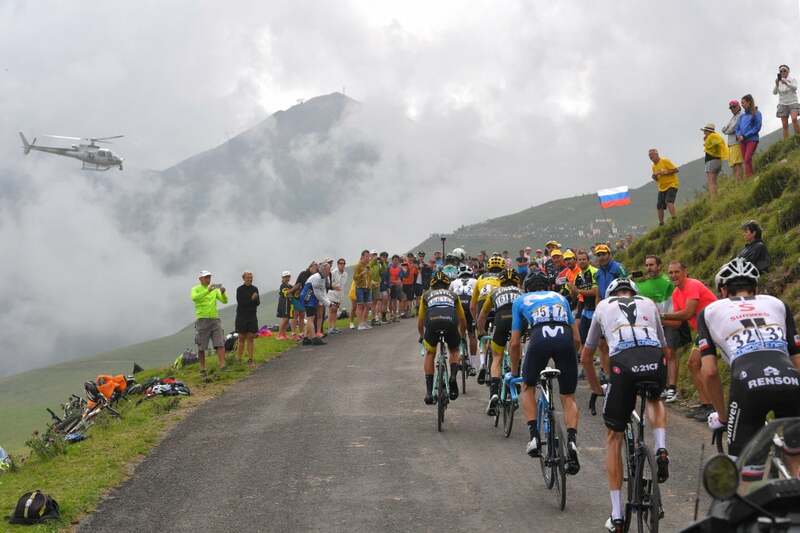 The short, brutally mountainous stage 17 was just as dramatic as Tour de France organizers had hoped it would be. 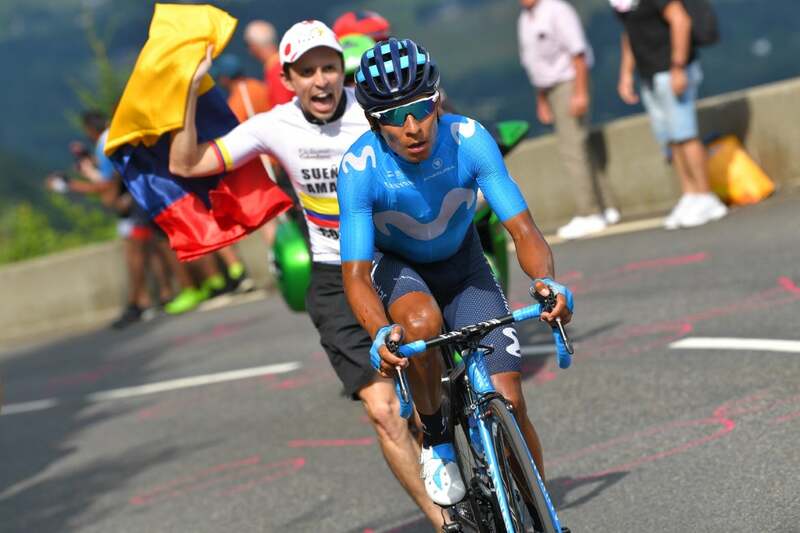 Nairo Quintana (Movistar) won his first Tour stage in five years with an early attack Wednesday. 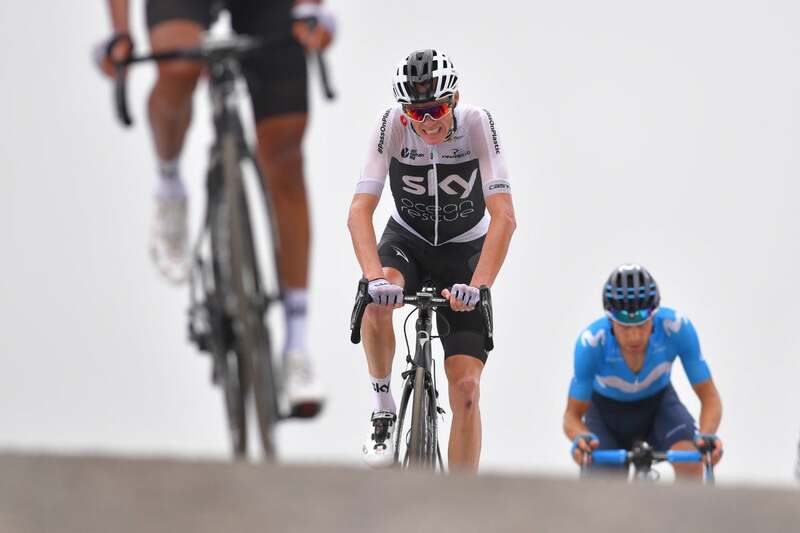 In the GC race, Chris Froome faded from the picture before the final two kilometers as his Sky teammate Geraint Thomas added a few seconds to his yellow jersey lead. After the 65km race, Tom Dumoulin (Sunweb) was second overall, 1:59 behind after moving past Froome, who fell to third, 2:31 back. Starting straight up the climb to Peyragudes via Col de Peyresourde from Bagnères-de-Luchon, the short stage was animated from the start. 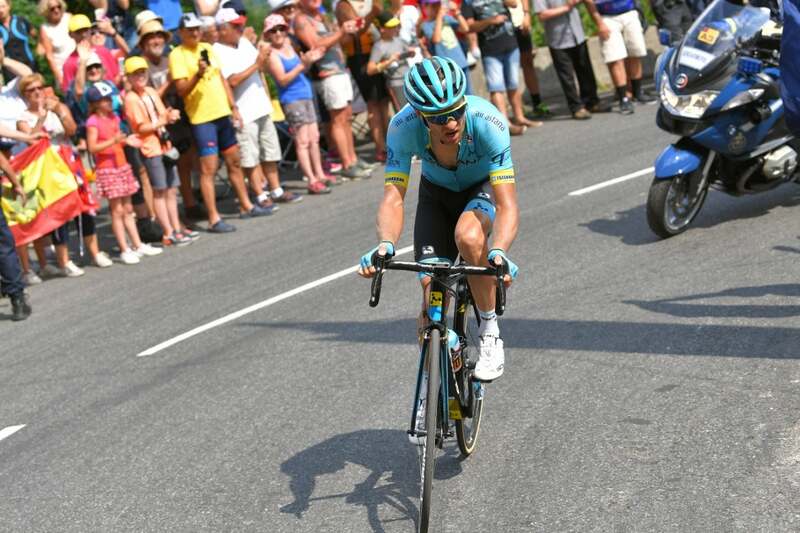 Astana’s Tanel Kangert attacked early and topped out on the day’s first Cat. 1 climb alone. 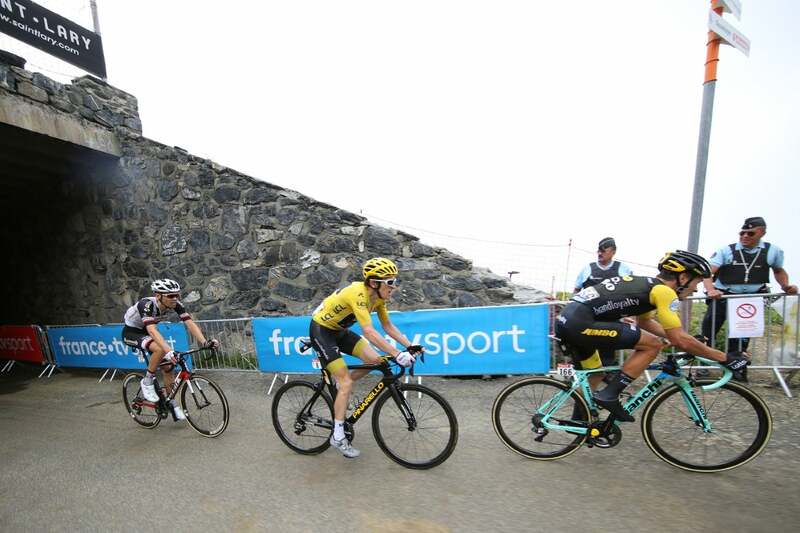 On the descent, Julien Alaphilippe (Quick-Step) again used his masterful bike-handling skills to catch the Estonian before they reached the short valley. 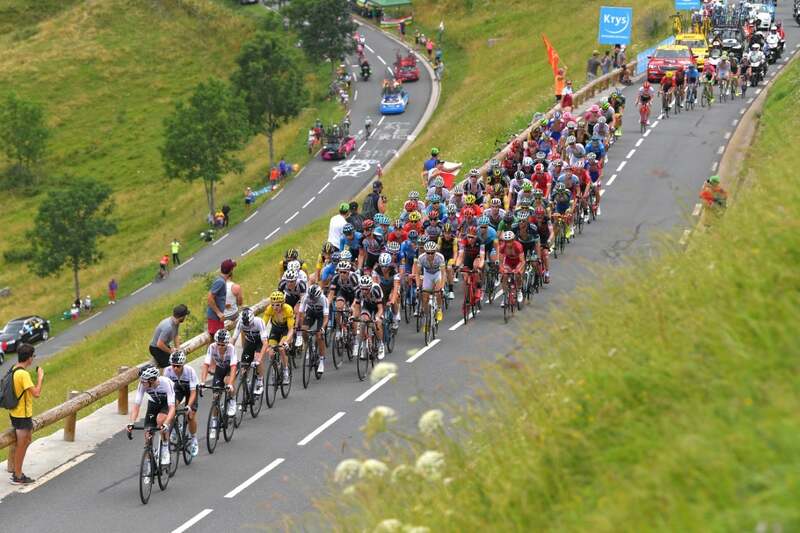 There was no time to rest before the second category 1 climb began, the 7.4km ascent of Col de Val Louron-Azet. 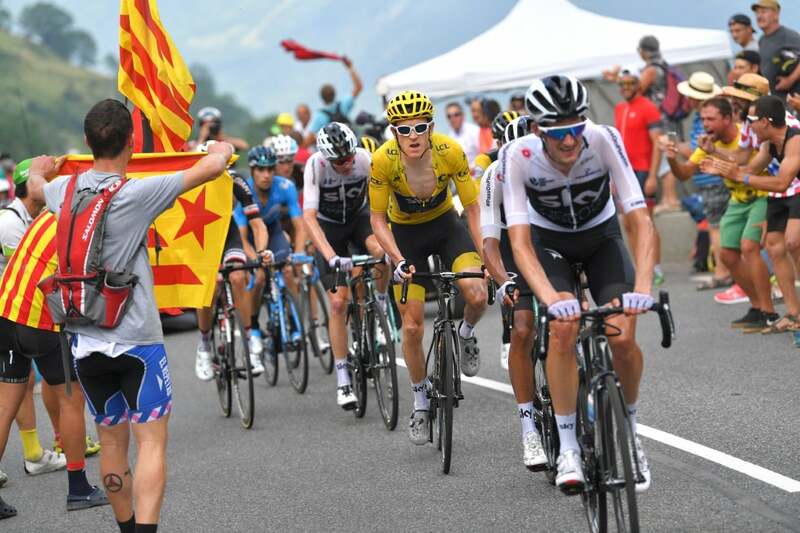 In his ongoing bid to collect king of the mountains points, Alaphilippe rode across the top of the climb first and later drifted back to the peloton, leaving Kangert to carry on alone up the fearsome Col du Portet. Farther back, world champion Peter Sagan crashed heavily on the descent, requiring medical attention. 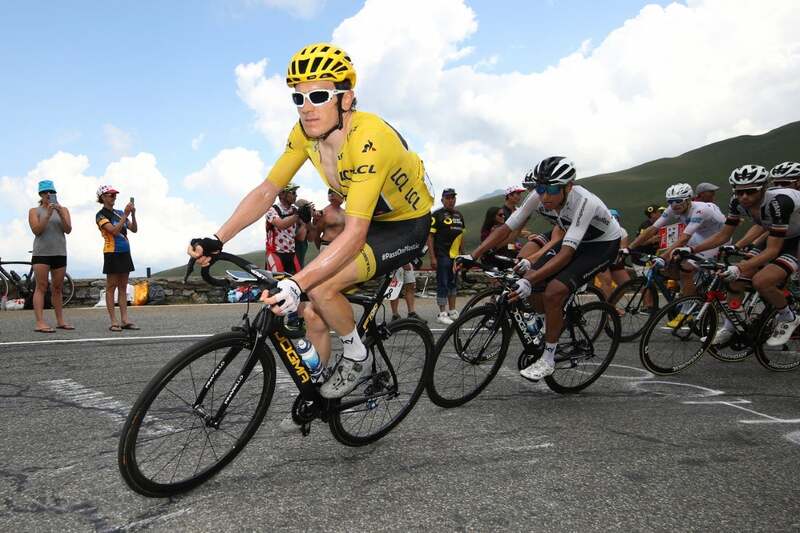 He was able to continue the race and finished more than 26 minutes behind Quintana. Only about a kilometer into the 16-kilometer finish climb, Quintana launched his attack. Although he had to stop twice on the day’s first climb to get a front wheel swap, the Colombian looked to be in rare form. 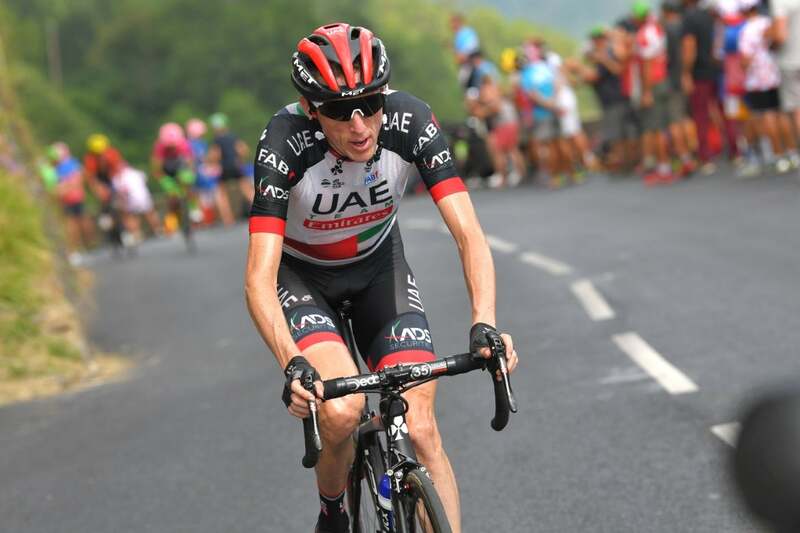 Dan Martin (UAE Team Emirates) followed Quintana for a little while but could not maintain the pace on the climb that averaged 8.7 percent gradient. Primoz Roglic (LottoNL-Jumbo) also tried a move with about 15km to go. 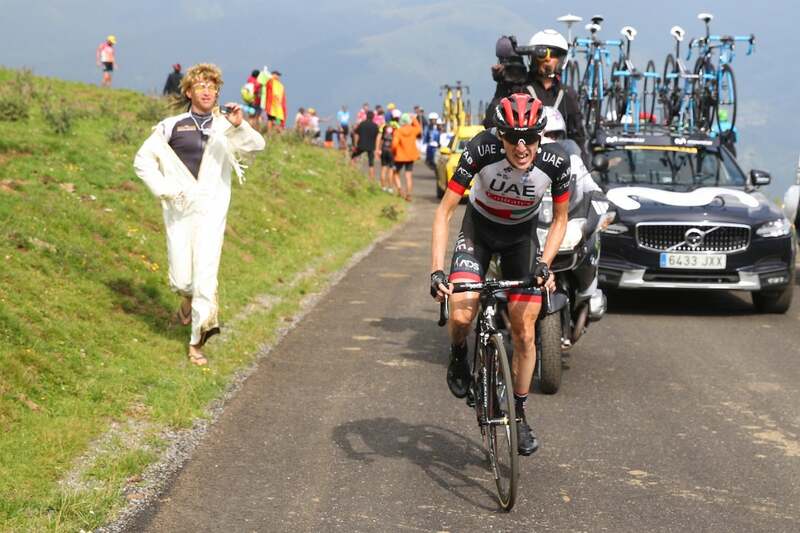 Froome followed him right away, forcing Dumoulin to chase down the duo. This allowed Thomas to sit back and let his team’s advantage in numbers play out. 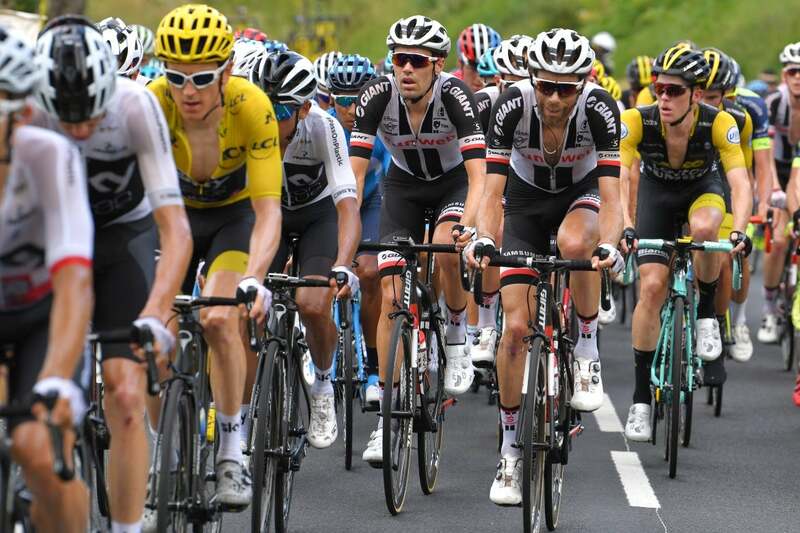 “[Froome] wanted to try something so he went early with Roglic,” said Thomas. “I assumed he’d be good but he just wasn’t feeling too great toward the top. 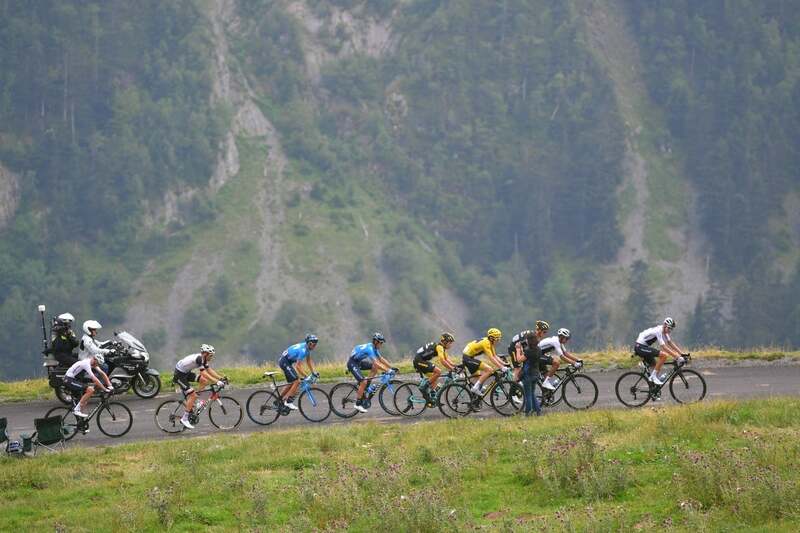 With 12 kilometers still to climb, Quintana saw a welcome sight up the road, his Movistar teammate Alejandro Valverde who had gone in an early breakaway up Val Louron-Azet. Valverde did his best to pace Quintana over the next 12 kilometers. 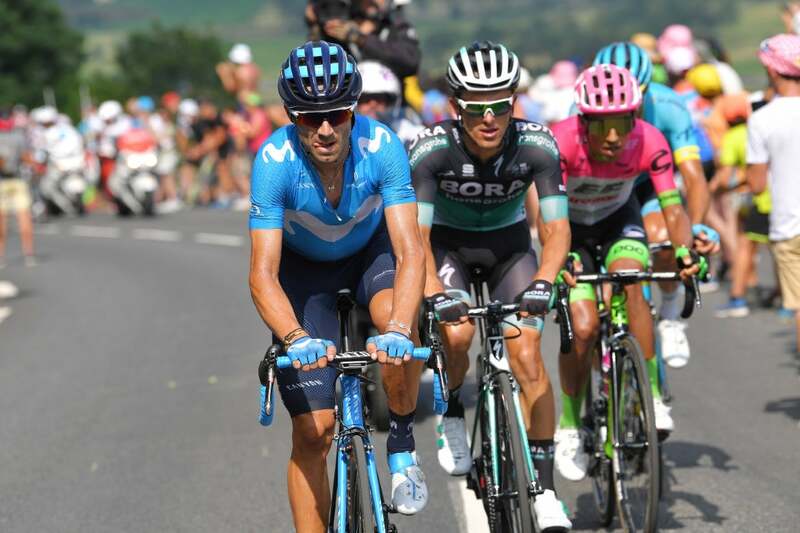 Behind, the GC group had been whittled down to just nine men with Sky’s Wout Poels and youngster Egan Bernal driving the pace. 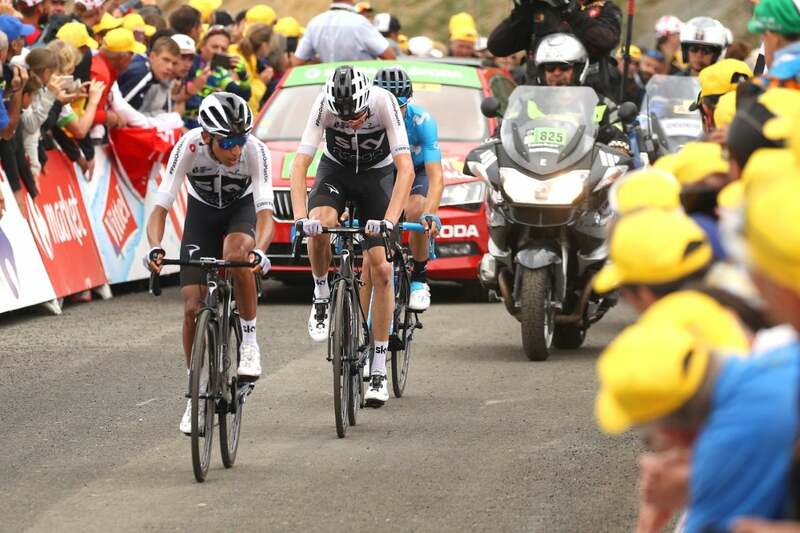 Into the final five kilometers, Quintana was alone off the front, having caught the intrepid escape by Kangert. Martin remained in no man’s land, chasing about 20 seconds behind. The GC group was about one minute back. 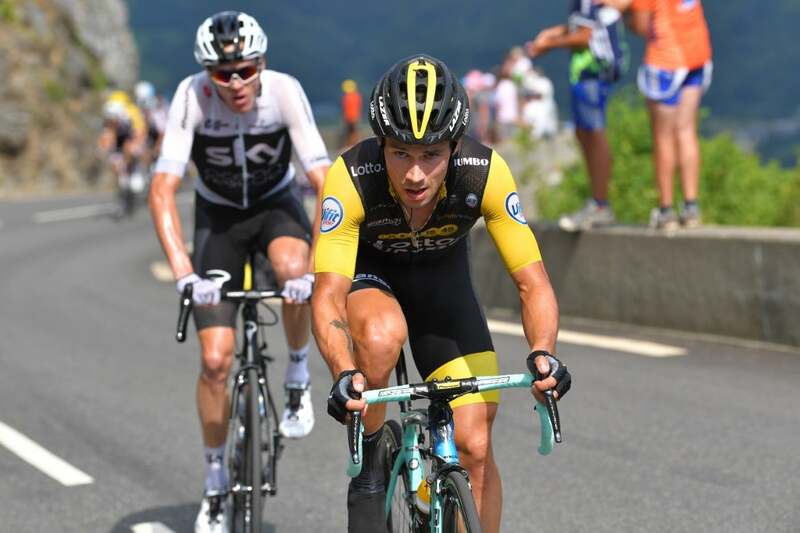 With only a few kilometers remaining, Roglic again tested the waters with an attack, as did his teammate Steven Kruijswijk. 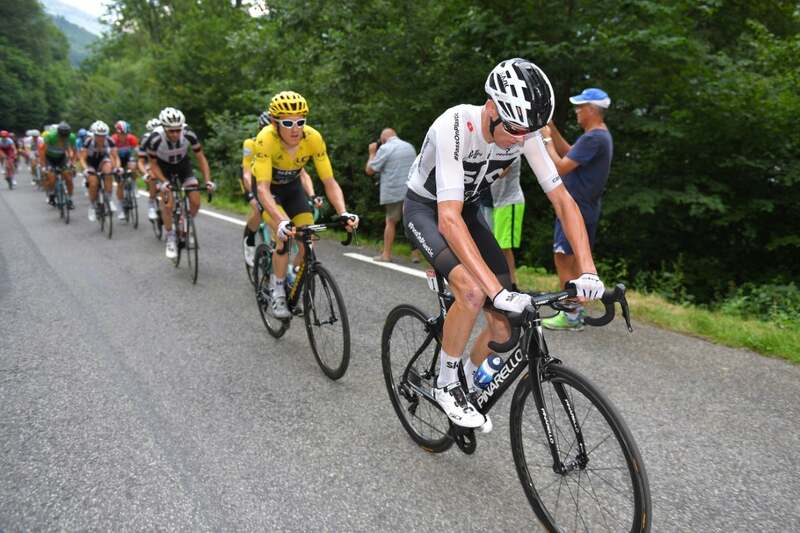 Thomas covered the Slovenian Roglic’s move, but the elevated tempo dropped Froome, leaving just Thomas, Roglic, Dumoulin, and Kruijswijk in the group of favorites. 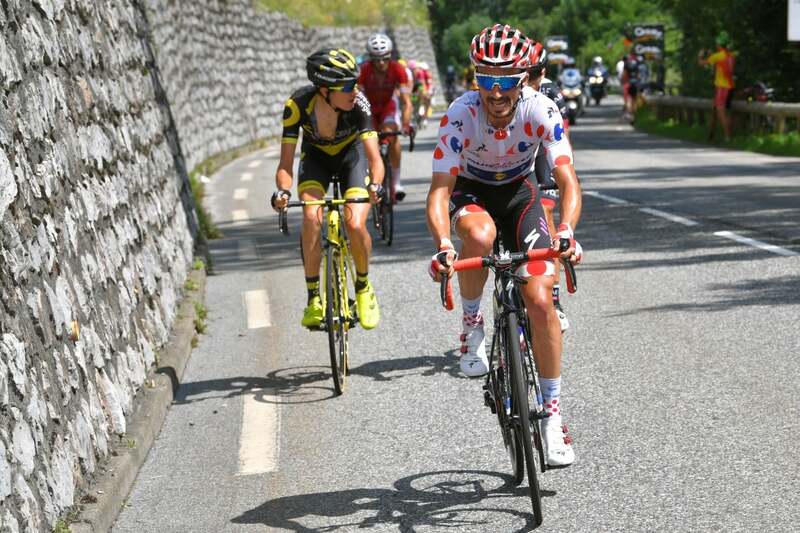 Dumoulin tried an acceleration of his own with two kilometers remaining, but it didn’t snap the elastic. Finally, out of the tunnel on the last kick to the line, Thomas accelerated to take third and a few seconds as he finished 47 seconds behind Quintana with Martin second. 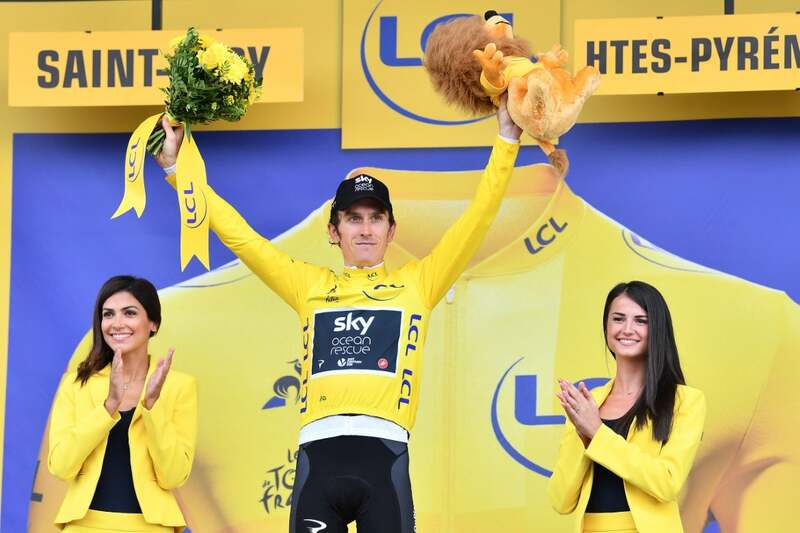 The race for yellow should have a ceasefire for one day Thursday as the 171km stage 18 from Trie-sure-Baise to Pau is a flat day for the sprinters. It remains to be seen if Sagan will be able to contend for a fourth stage win. Thomas isn’t getting ahead of himself with a comfortable lead in yellow. “I don’t let myself think about it,” he said. 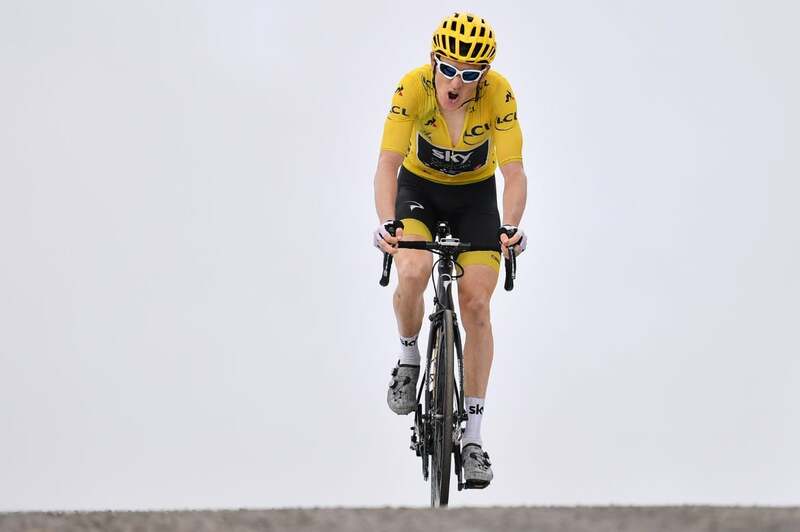 “It’s just day by day,” he said, adding that Froome should not be counted out.